Ever wonder about the story behind the iconic Veronica Beard Dickey Jacket? We had a chance to get the scoop from the founders themselves. Veronica Beard was created by sisters-in-law Veronica Miele Beard and Veronica Swanson Beard, two women who not only share the same first and last name, but a vision to help other ladies feel chic while keeping it simple. Read on for an inside look at the brand, the stylish women who run it, and the jacket that started it all. What inspired you to start Veronica Beard? Veronica Swanson Beard: While there were a lot of options in the market, we felt classic and cool clothing for women on-the-go was missing. We wanted to provide a solution for women who lead multi-faceted lives and need quality clothing that can keep up with their various pursuits, careers, and hobbies. Veronica Miele Beard: Women needed a uniform for their daily lives, whether going to work, dropping kids off at school, or going out in the evening. On Wall Street, I realized men had a uniform, a suit and tie for every day. I also found when I dressed well in thoughtfully tailored pieces, it helped me exude a confidence that commanded respect. We all want to feel confident and chic, yet effortless. You’re well-known and well-loved for your Dickey Jackets. Can you describe the jacket and where the idea came from? Why do you think it’s become such a popular piece? VSB: The concept of the Dickey Jacket is our answer to looking classic, chic, and versatile without having to think too much about it. While we knew that this piece would be the cornerstone of the Veronica Beard look, we only hoped that it would become as iconic as it has become today! 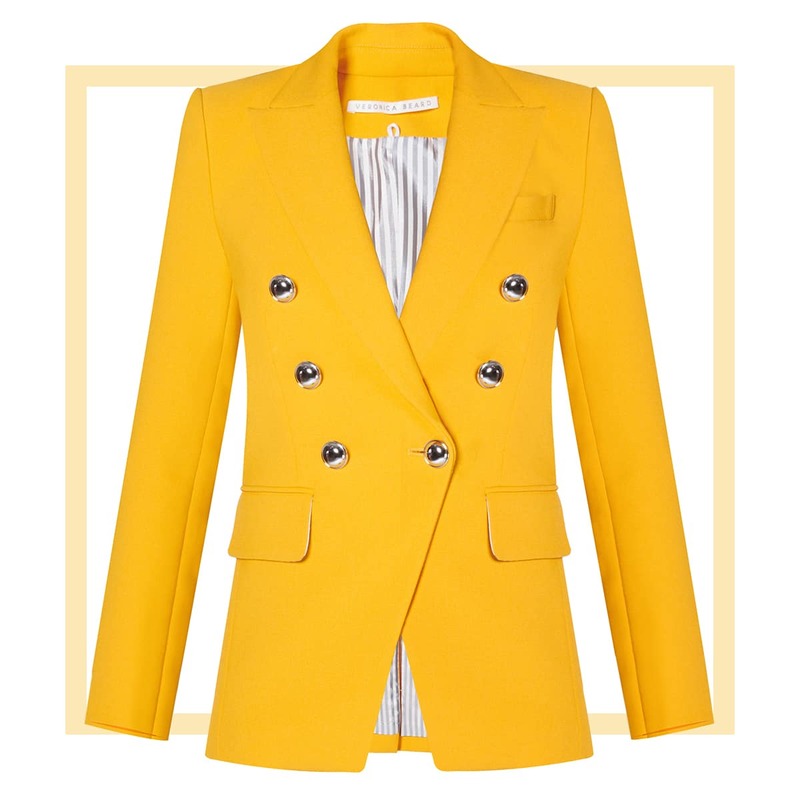 VMB: We knew there were other women out there like us, who wanted a chic answer to everyday dressing. 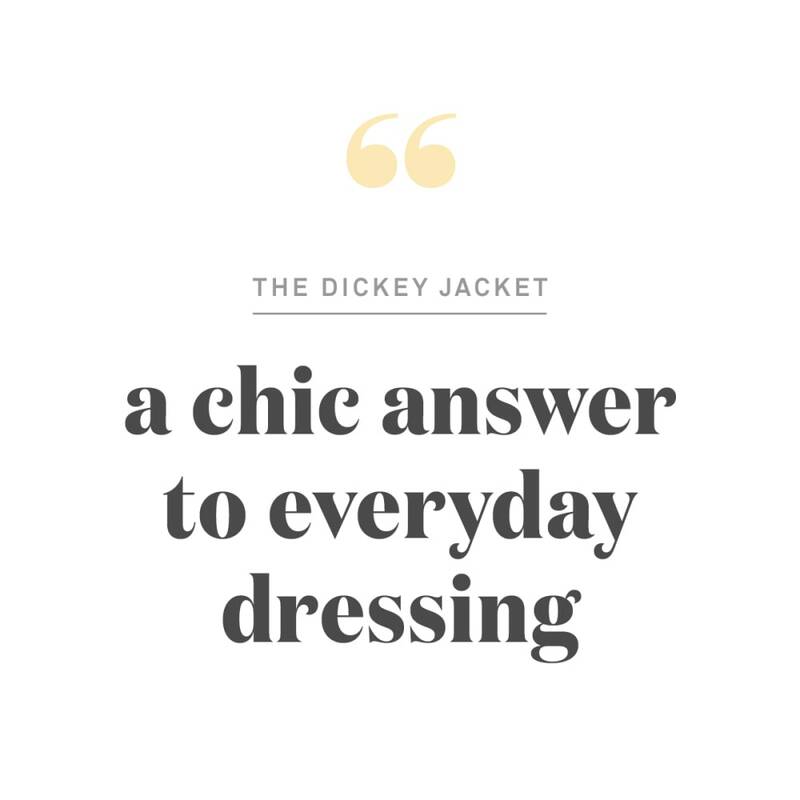 You can mix and match different Dickeys to update your look from day to night without having to change your jacket, making them ideal for dressing on the go! What piece (or pieces) has been your favorite to create? VMB: The Dickey Jacket, of course! VSB: And our jeans line! There’s so much that goes into the design and creation of one pair, it’s amazing. We have such a newfound appreciation for jeans. When you’re designing, who do you have in mind? VSB: We find that our customer wants a luxury experience at an advanced contemporary price point, whether she’s a millennial investing in a special occasion dress, a busy executive looking for a modern tailored suit, or a mom-on-the-go looking for a perfect pair of jeans. These are the women we’re constantly thinking about. Quick! You’re traveling for a long weekend and have 10 minutes to pack. What do you include in your suitcase? VSB: The Faxon Pant in black, Debbie Skinny Jeans, a tee, the Amile Dress, and heels. How would you describe your personal style? Who is your personal style icon? VSB: Cool, classic, and chic. My personal style icons are Carolyn Bessette-Kennedy, Jane Birkin, and Carolyn Murphy. VMB: Eclectic, edgy, and always a little rock 'n' roll. Jerry Hall and Kate Moss are my personal style icons. What has been your biggest fashion faux pas? VSB: Cut-offs over leggings in the ‘90s, but I could definitely see that coming back. VMB: I’ve taken a lot of fashion risks, but I don’t think of them as faux pas. As busy moms who lead a fashion brand, how do you approach getting dressed and looking your best every day? 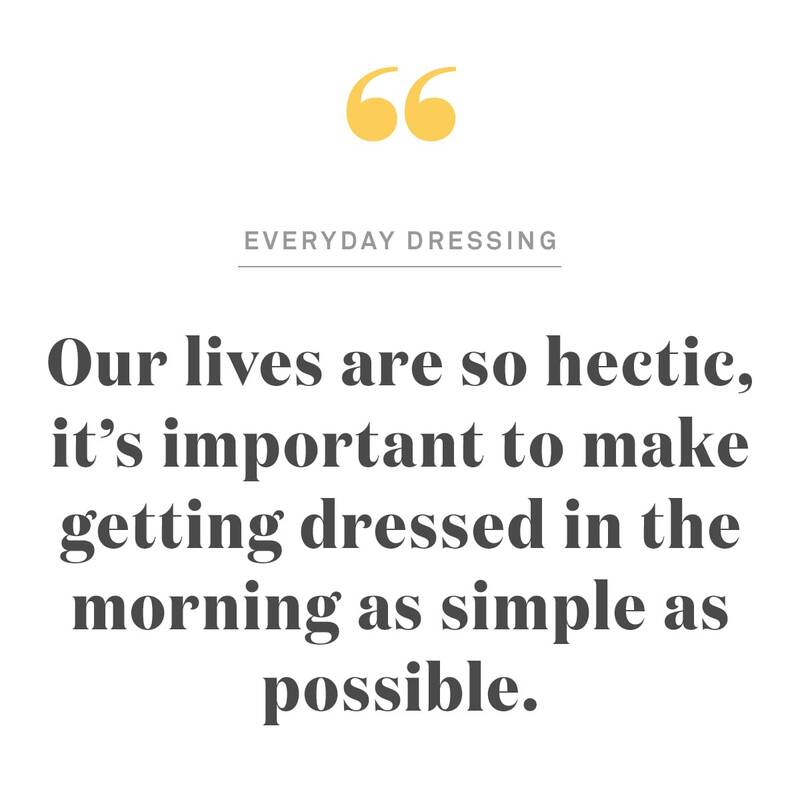 VSB: Our lives are so hectic, it’s important to make getting dressed in the morning as simple as possible. For me, that means jeans and a tee paired with a Dickey Jacket, and some fabulous VB heels. 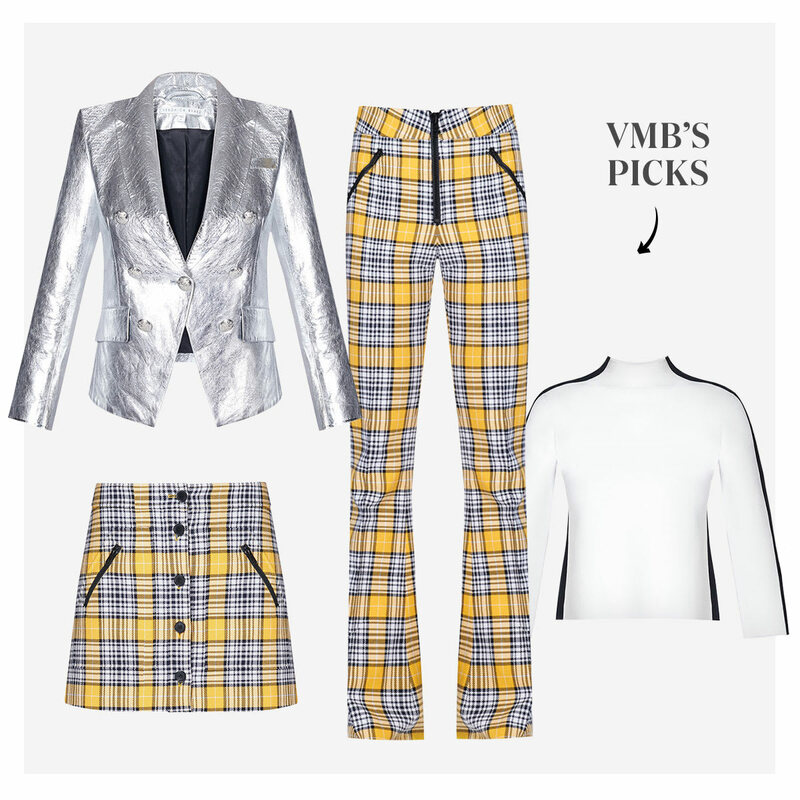 VMB: I choose clothing that makes me feel confident and chic, yet effortless. If I’m not wearing a dress and heels, I’m usually in jeans with a Dickey Jacket, statement belt, and heels. Which trend do you wish would make a comeback? VSB and VMB: Door knocker earrings from the 1980s! At Trunk Club, we’re all about helping people feel confident in their careers. What career advice would you give to your younger selves? VSB: You can’t let a setback stop you because there’s so much to learn from each roadblock. You need to be patient with yourself and recognize that your biggest failures can become your greatest successes. VMB: Stand your ground, take risks, and believe in yourself! Keep trying new things and double down where you’re successful. What’s next for Veronica Beard? VSB and VMB: We just opened our fifth store at Americana Manhasset and we’re working on some exciting collaborations. There’s always something new happening, so stay tuned! Speaking of exciting new things, we also spoke with the Veronicas about their upcoming resort collection available soon. Check out a sneak preview of the pieces and their inspiration here.